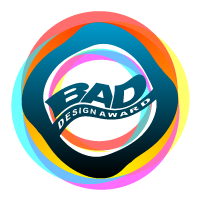 Please contact us with any other ideas, comments and suggests regarding the Bad Design Awards inititative. If you wish to report a misconduct, it is best to file a new report, to do so click here. However, if you have any other questions or comments, please write to us via email. Please remember to add our emaill address above to your contacts in order to receive our future communications. You can also use our email-address to send more information, proofs and documents. It is important that you let your other designer friends and collegues to know about this initiative to make it more efficient and effective. Please forward our project to them as well by sharing http://www.baddesignaward.com.